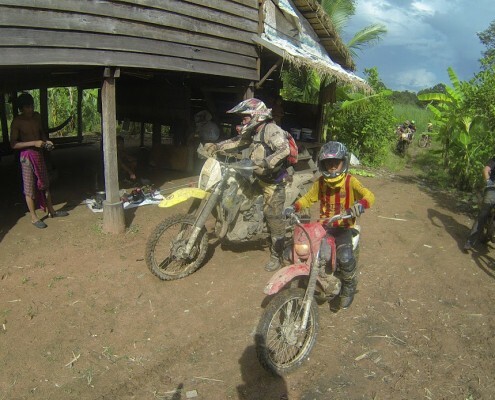 At the first part such as an easy ride with unpaved road, then some pot holes and bumpy which across countryside rice paddies and village to Beng Mealea temple for a break then take a hard part through the jungle to Taseng village and stop by lost temple Bakan and over at homestay (Chairman'house). Next day also have some technique roads ride through villages and ox-cart trails, muddy, rocky, off roads back to Siem Reap. 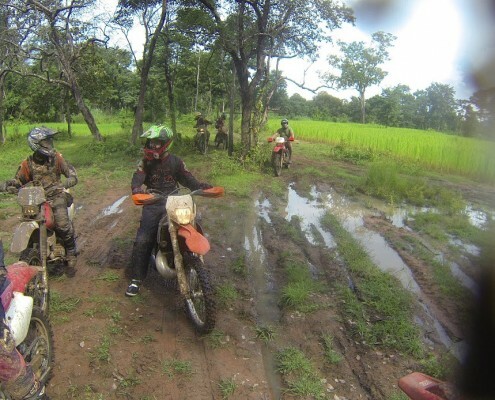 Countryside tour to remote area and temple, see some villages and some single trails depending on rider skills, trip suitable for intermediate / experience rider only. 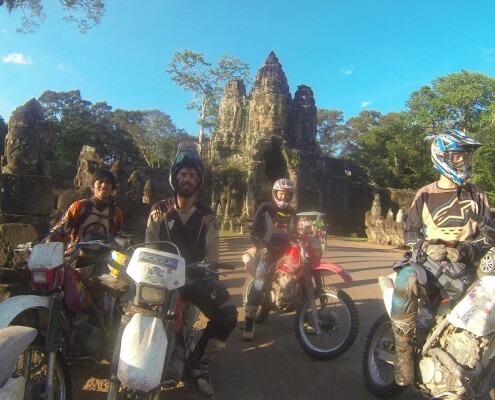 Spend a day riding small trails passing small remote temples, crossing rice paddies depending on the season just find the way and ride to Kulen Mountain and small temple including surrounding jungle, nice waterfall, reclining Buddha and 1000 lingas of Shiva . First day an easy ride with unpaved road, then some pot holes and bumpy which across countryside rice paddies and village to Beng Mealea temple for a break then take a hard part through community rain forest to lost capital Koh Ke( 4th capital of Angkor) Next day spend time to visit the temple then get bike on bike ride through Boeng Pea wild life jungle to Taseng village and stop by lost temple Bakan and over at homestay (Chairman's house). 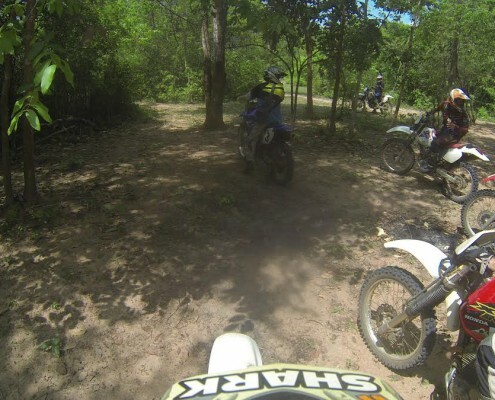 Next day also have some technique roads ride through villages and ox-cart trails, muddy, rocky, off roads back to Siem Reap. 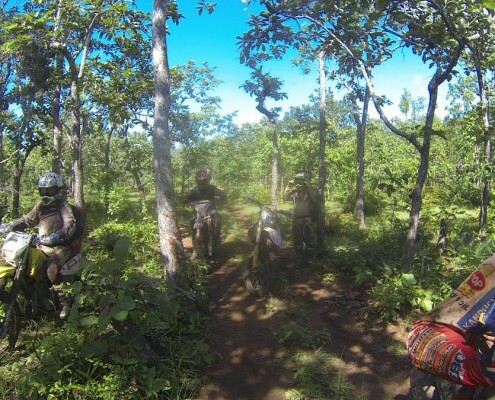 Spend a day riding small trails passing small remote temple Bantey Ampil, crossing rice paddies and ox-cart trails and riverson or depending on the season just find the way and ride through small village and community rain forest. 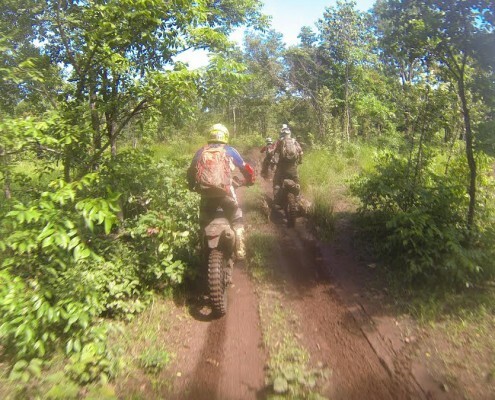 It's a great Enduro, offroads and motor cross, technical ride, rocky, muddy, rivers crossing, sandy single trails, combine with waterfall, wild life sanctuary, minority group and national park. 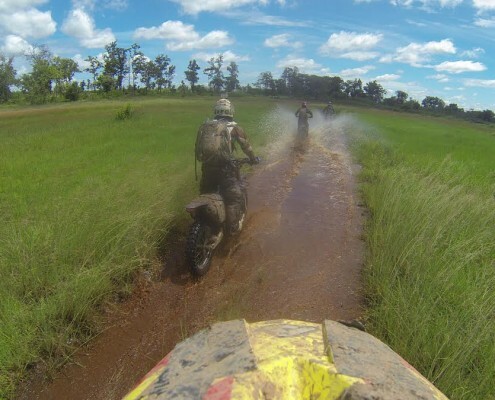 It's a great Enduro, offroads and motor cross, technical ride, rocky, muddy, rivers crossing, sandy single trails, combine with waterfall and national park. 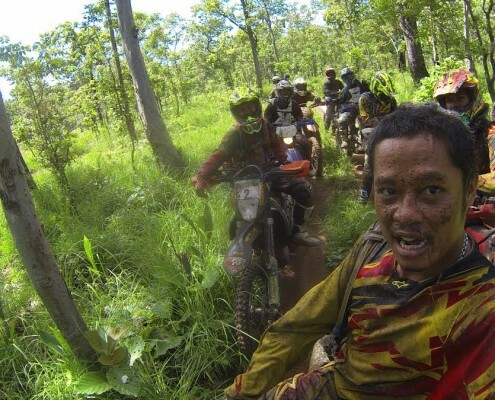 It's a great opportunity for professional and expert riders to train themselves for Enduro racing, this trip combine between Eastern Enduro And hill Tribe 10 Days Tour and Western Cambodia Extreme 8 Days Tour Spend your full 14 days on bike and fight with single track, rain forest mud, rocky hill climb, push and pull your bike, across rivers. 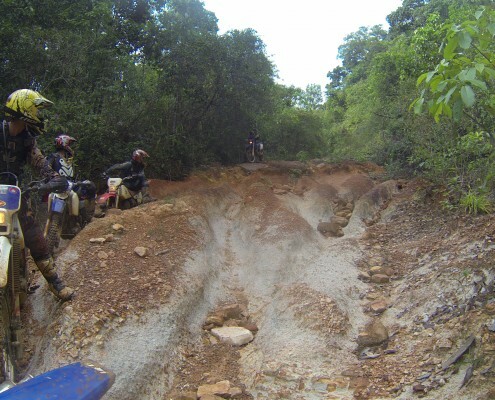 It's a great Enduro, offroads and motor cross, technical ride, rocky, muddy, rivers crossing, sandy single trails, combine with waterfall and national park.